The queens of RuPaul’s Drag Race will unleash their own brand of hilarity and hijinks upon the world this spring with the RUPAUL’S DRAG RACE WERQ THE WORLD 2017 tour, produced by Voss Events, Say What Entertainment and OUTtv. 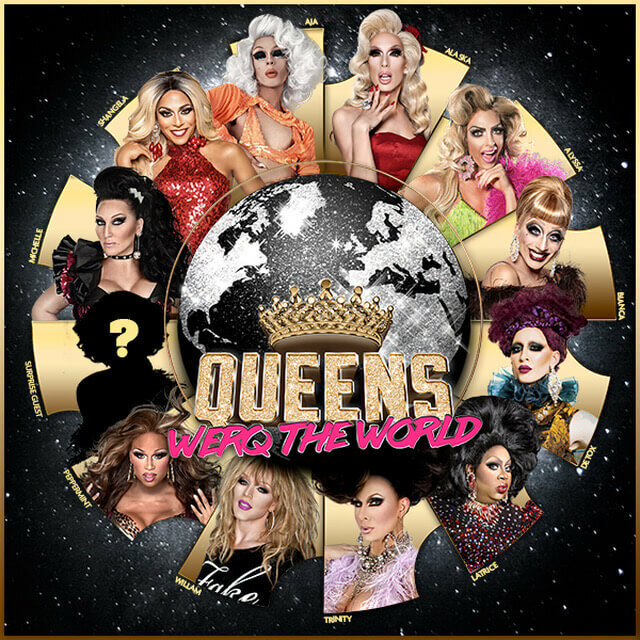 Hosted by Bianca Del Rio, Michelle Visage and Shangela, the live stage show will feature some of the series’ most unforgettable queens including Alaska Thunderfuck, Alyssa Edwards, Detox, Latrice Royale, and Willam as well as some of the new ladies from season nine: Aja, Peppermint, Sasha Velour and Trinity Taylor. Voss Events is a leading production company that consistently delivers superior entertainment programming. Past events have included stars such as Lady Gaga and Cher. OUTtv Europe is known for its diverse mix of edgy drama and fabulous lifestyle programming, including RuPaul’s Drag Race, Untucked and RuPaul’s Drag U, as well as a dynamic library of Hollywood and independent movies from around the globe. The ninth season of RuPaul’s Drag Race will begin airing March 2017. Thirteen queens will be competing for the title of “America’s Next Drag Superstar” and a cash prize of $100,000. Tickets for the RUPAUL’S DRAG RACE WERQ THE WORLD 2017 tour go on sale March 1 at www.werqtheworld.com.